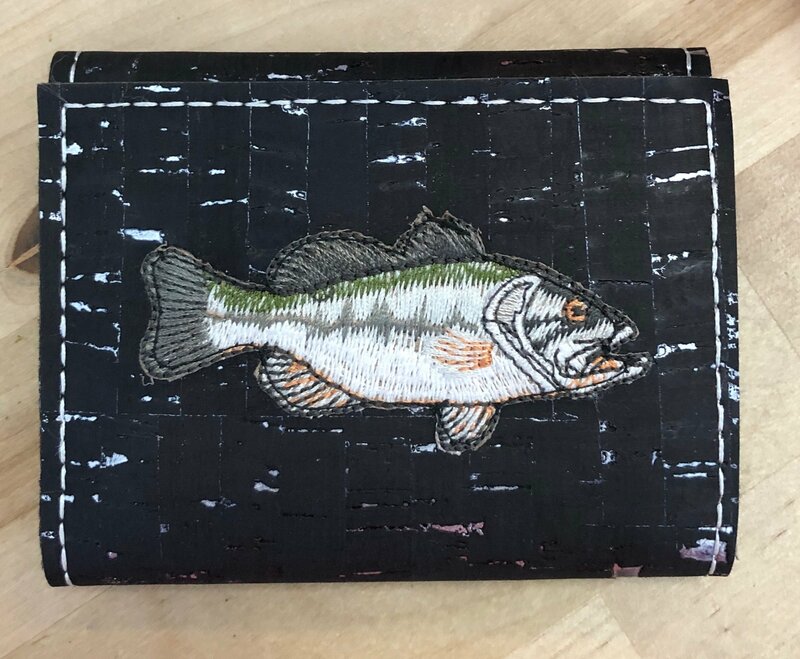 Come join the fun & make a manly wallet! You will need your sewing machine & basic sewing notions, 1/8 yd of cork, 1/8 yd of SF101 interfacing & 1/4 yd fabric for the inside of wallet. Binding clips are helpful. Applique shape if desired to put on the front. Audrey used a fish on hers!